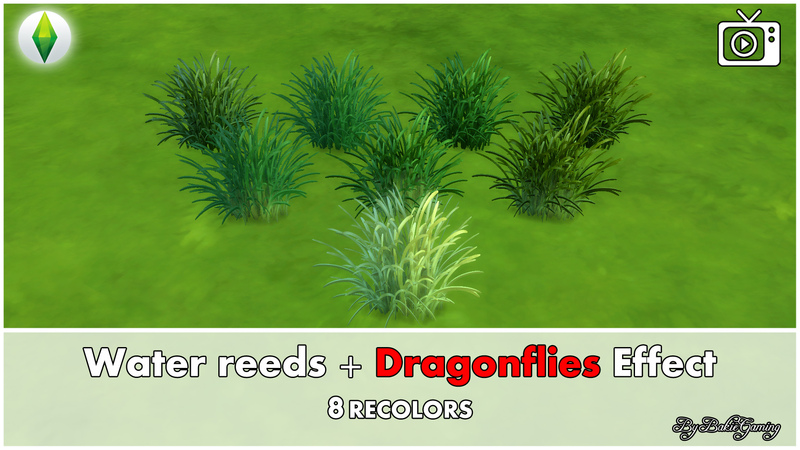 I've updated this mod so your Sims are once again able to do a "Catch Dragonflies" interaction if you have the Outdoor Retreat Pack too. This is my second mod in a series of mods which all will use the same object, but will have another effect added to it. I did make some changes compared to catching insects in Granite Falls though, if you want to know what exactly, then go watch that video! If you have the Seasons Pack, the dragonflies might disappear during certain weather conditions like rain and snow. To see the actual effect and interaction and learn how to use it, I recommend watching my video at the top of this page. Doing so, you will also get some tips and tricks on how to use the object when only using it for decoration. This mod is Base game Compatible as for the object + Effect. If you want to be able to use the Catch dragonflies interaction, you will need the Outdoor Retreat EP. 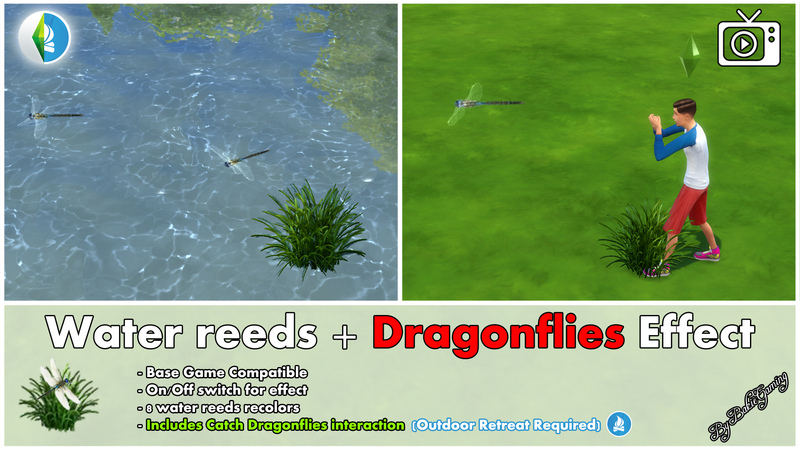 The Water reeds + Dragonflies effect mod, is a standalone object, so it won't overwrite any other objects in game. You can find the Water reeds + Dragonflies effect in Build mode > Fountain > Fountain decoration OR type Dragonflies into the search bar. Outdoor Retreat for Catch Dragonflies Interaction.